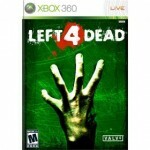 Valve has just released a free patch for their multiplayer zombie thriller, Left 4 Dead, on the Xbox 360. This is not, however, the same patch that we reported on a few weeks ago. Today’s patch is solely intended to fix little bugs and balancing issues in a few of the game modes. As for the ‘Survival Pack’, no additional news has been released. It is slated to appear on PC and Xbox 360 sometime this spring.